2011: The Year of Retro Gaming Project: EPISODE 47...? Will retro gaming continue in the new year...? What do you think of the new theme song? I thought since it was a new year, there needed to be at least some kind of change. The music's by Maak, a Japanese chiptune artist. I've seen a lot of websites over the last few weeks awarding "Game of the Year," as is often the case around this month. I've seen so many people gushing about Elder Scrolls Skyrim, and I just do not get it. I hired the game and played it for a couple of hours, and what I saw was dull, glitchy, uninteresting and just generally not much fun. You run for about 5 minutes down a road without seeing anyone or anything, then you come to a town where everyone tells you boring stuff, then you run down another completely empty road. Maybe something will attack you and you can flail your sword around madly until it dies and pick up item number 7,369. After two hours I gave up due to absolute boredom. Okay, so perhaps the game becomes amazing later on, but if it makes such a bad first-impression, how come so many people have played through to the good stuff? I just do not get it. Portal 2. THAT was an amazing game. Batman Arkham City. Another amazing game. Skyward Sword. Any of those three I would wholeheartedly agree with for "Game of the Year." But Skyrim? Bleugh. 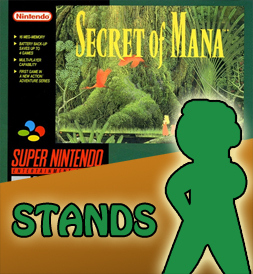 Secret of Mana's more fun than that!